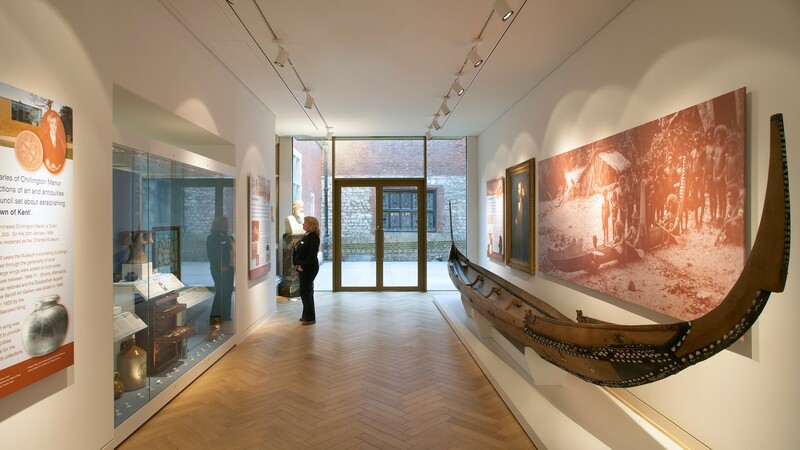 The new East Wing of Maidstone Museum demonstrates our ability to create imaginative, sensitive and environmentally responsible architecture within a historic setting. 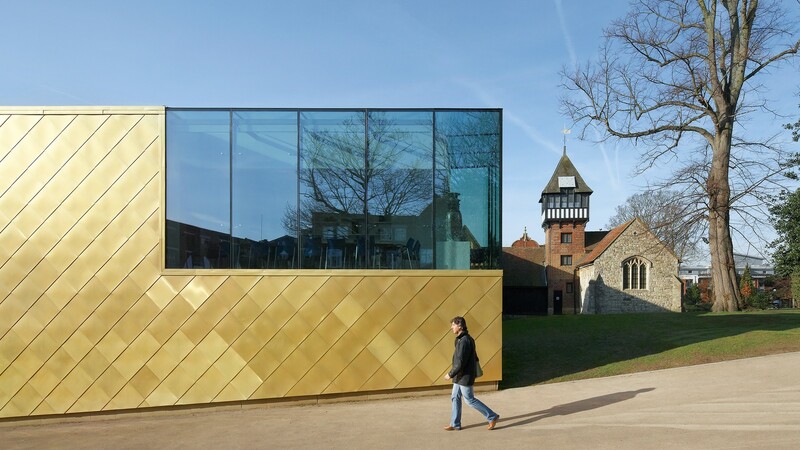 The award-winning scheme elegantly stitches together buildings of different ages with an articulate and sensitive intervention. 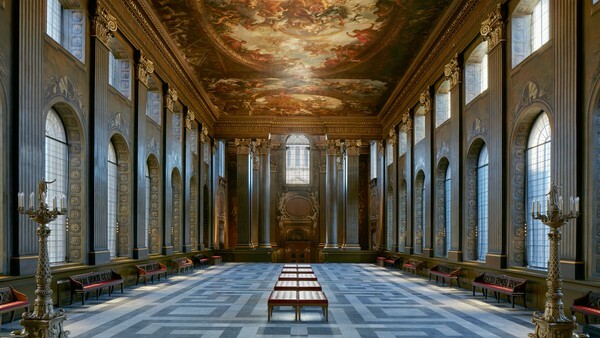 The bold design draws upon its context for inspiration and has been completed with a meticulous attention to detail, illustrating our passion for creating very well built architecture, which will weather and endure for the enjoyment of future generations. 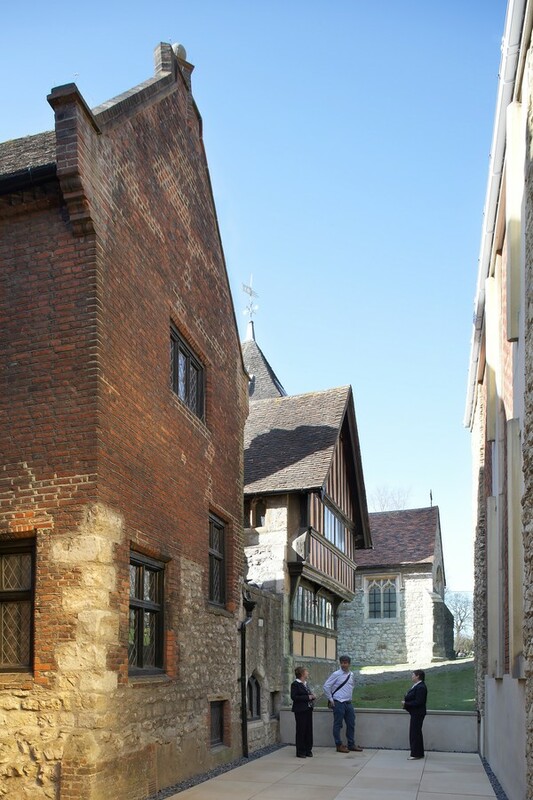 The core of the Grade 2* listed Museum is a 1561 Manor house. 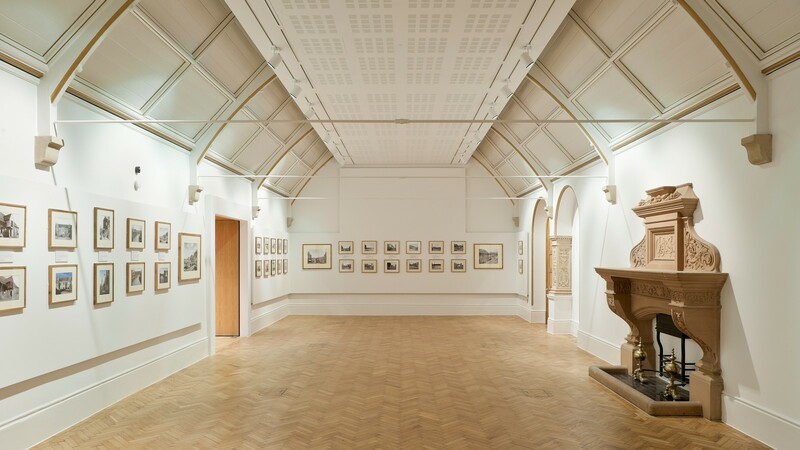 Acquired by the town in 1855, the building has been subject to numerous expansions, resulting in an eclectic architectural arrangement. 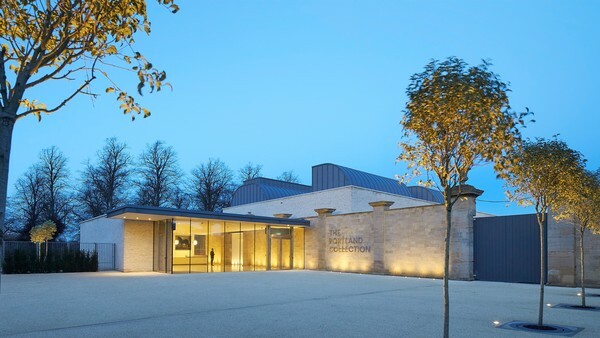 Our award winning HLF-funded design has created spaces with character, responding to the building’s multilayered history and architecture. At ground floor a new entrance faces Maidstone’s High Street. 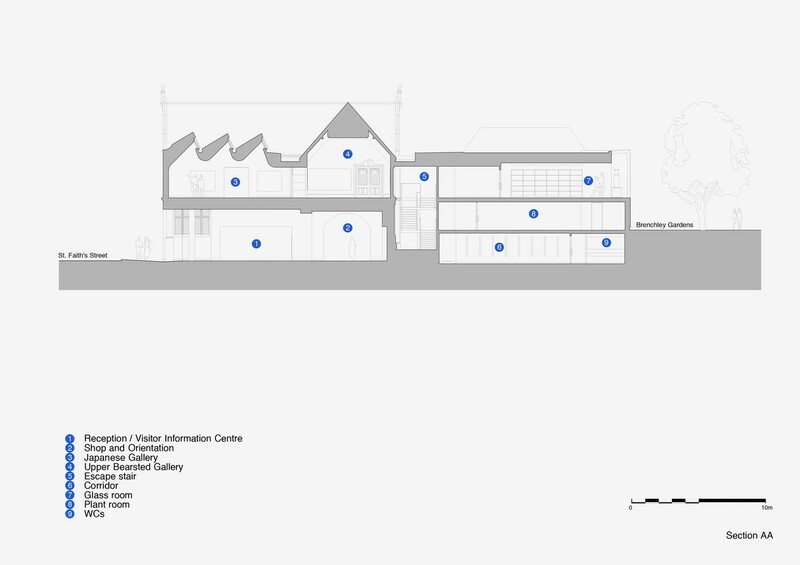 Through manipulation of levels, 3 floors have been incorporated in the service wing where elsewhere there are 2. 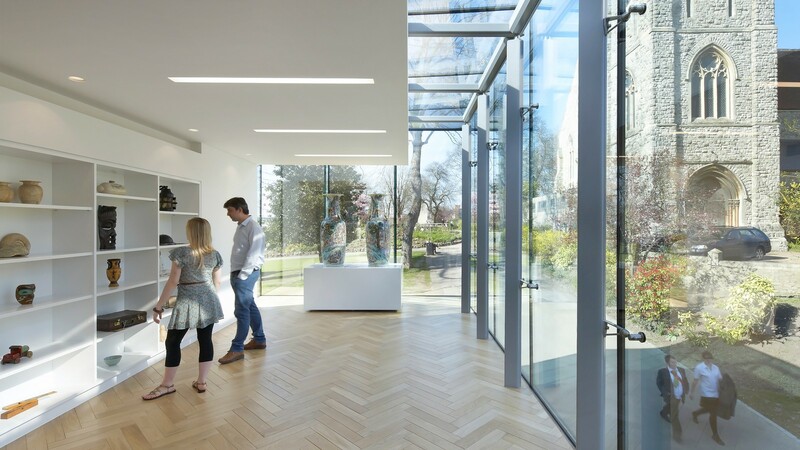 At first floor a glazed room visually reconnects the museum with Brenchley Gardens. 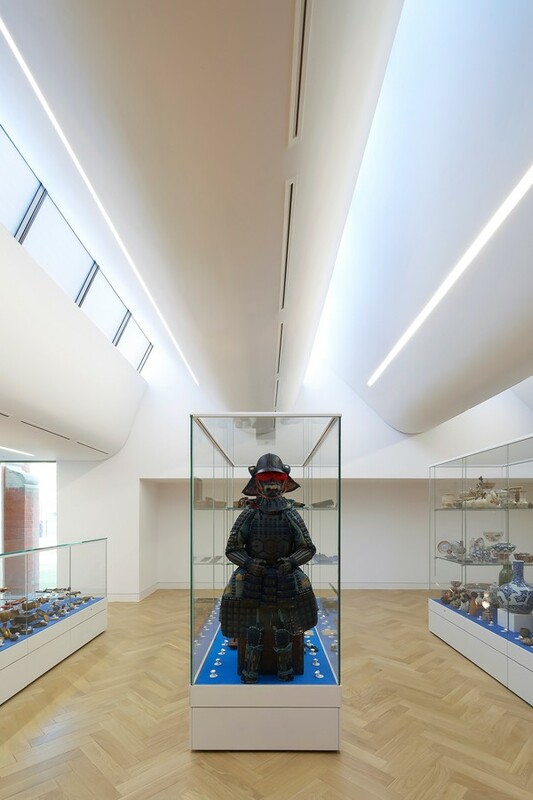 A new gallery, lit by north facing skylights, provides a home for the Japanese Collection. 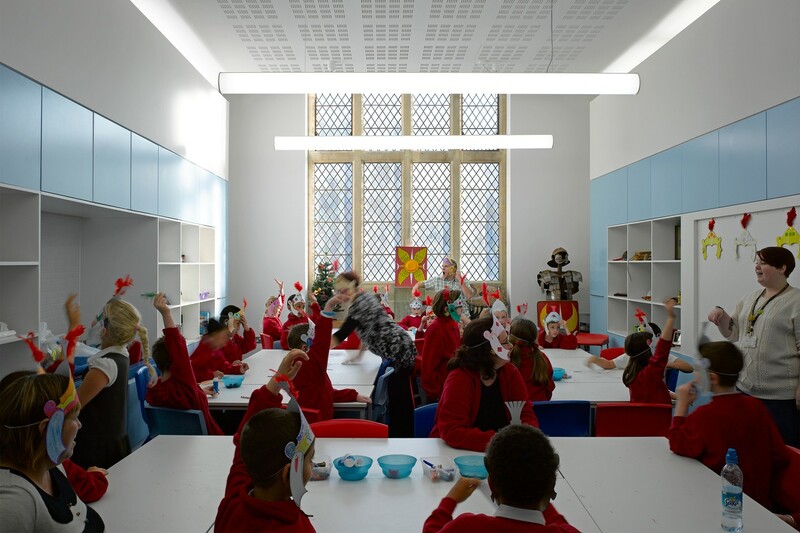 The extensions are complemented by refurbishment of existing galleries - increasing displays by 30% - and provision of new learning facilities, including a new education room. Beyond public spaces, storage facilities have been modernised, increasing capacity by 100%, and improving security and accessibility. 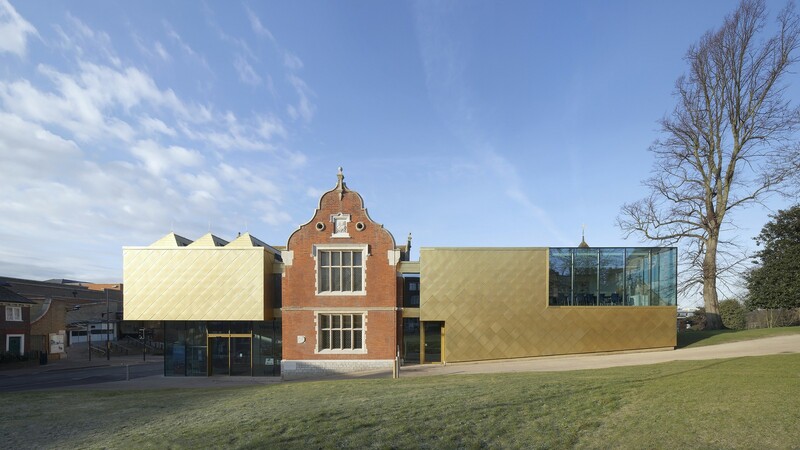 Façades are clad in handmade gold copper alloy shingles and structural glass, secured on the inner leaf to leave the external surface unblemished by fixings. 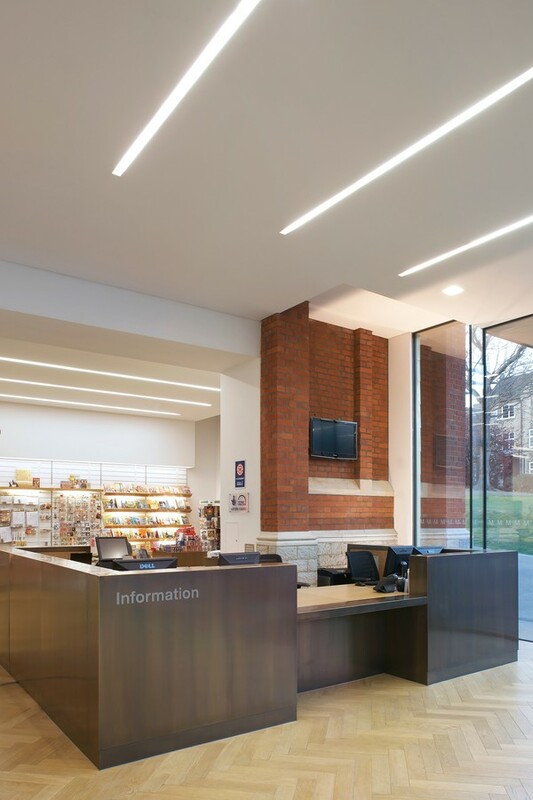 The sustainability strategy combines passive and active measures to reduce energy loads and carbon production whilst achieving internal design conditions that meet the requirements of PD5454.